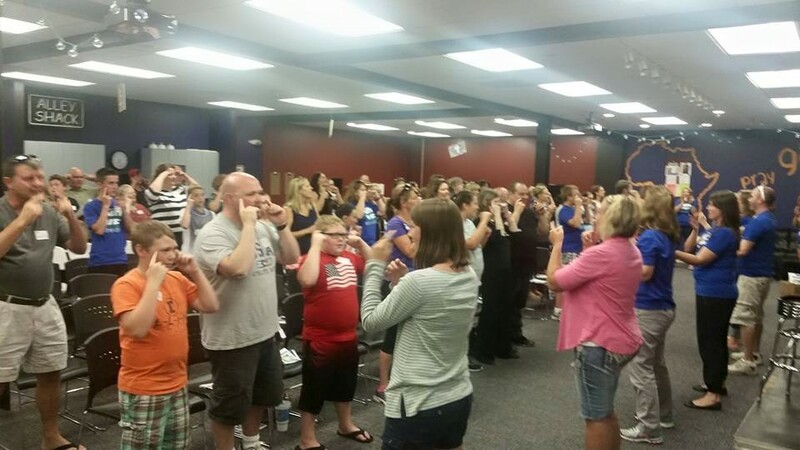 We’ve had GREAT success so far with our VBS Move! THANK YOU for all you have done and will continue to do as we move into our final weekend and an AMAZING fall. We have already put Parkview Kids donations into action by packing 3 Journey Bags for kids that went into emergency care this past week! We have reached 41 Journey Bags – we still need $5,000 to complete our goal of 100 backpacks! Be sure to mark your calendars for our VBS Closing Night Program on Friday, August 28 from 6:30pm-8:30pm. 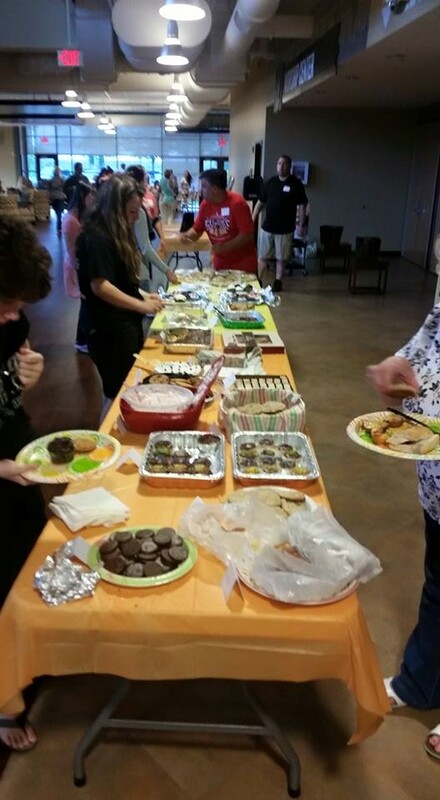 We will be taking a final offering for kids in foster care and celebrating what God has done over the last 4 weeks. We will have a BMX Biker Show, a free hot dog dinner, inflatables and food trucks for purchasing dessert. Bring your entire family and celebrate with us! If you’d like to volunteer and help behind the scenes please let me know. If you haven’t already heard there are some exciting changes to look forward to as we launch Parkview Kids this September! 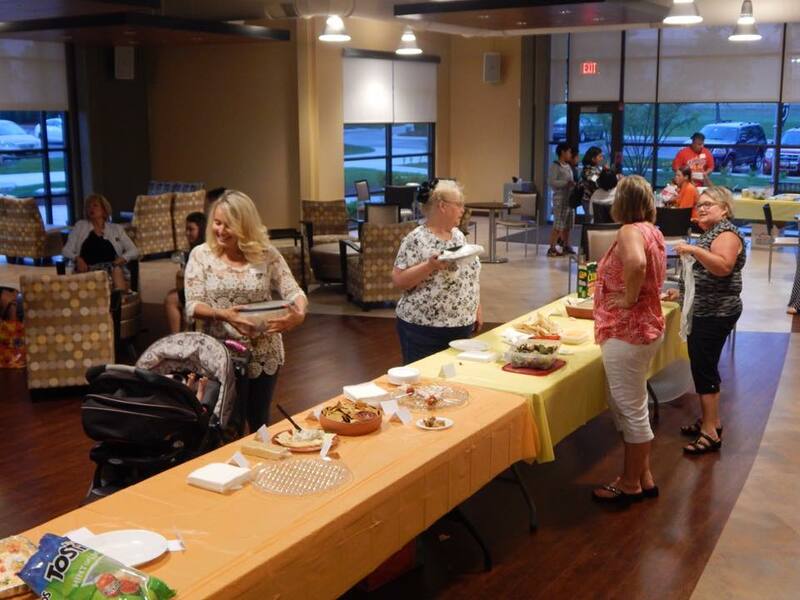 Our Early Childhood Team Gathering is Monday, September 14th, 6:00pm – 8:00pm in the east lobby at Parkview. An email invite will go out next week. Please save the date as we join together to share a meal, connect, get equipped, inspired and of course unveil and hand out our NEW t-shirts! Staffing changes – There will be some organization changes that will allow us to shift our structure to allow for central support for current and future campuses. At the Central level, Lisa Dorman will be programming director over Early Childhood for Orland, Lockport and all future campuses. At the Campus level, I will serve as Director over the Area Coordinators at Orland (Nursery (Garden), Preschool (Backyard/Clubhouse), Elementary (City & Alley), Special Needs, Green Team). These internal changes allow us to be more focused and efficient with our time, energy and resources and produce a more consistent experience for kids and families at each campus. What does this mean for you? You will not experience any changes except starting in September Amelia Goetschel and Carrie Lyons will together lead the Early Childhood Team and take over this online communication. 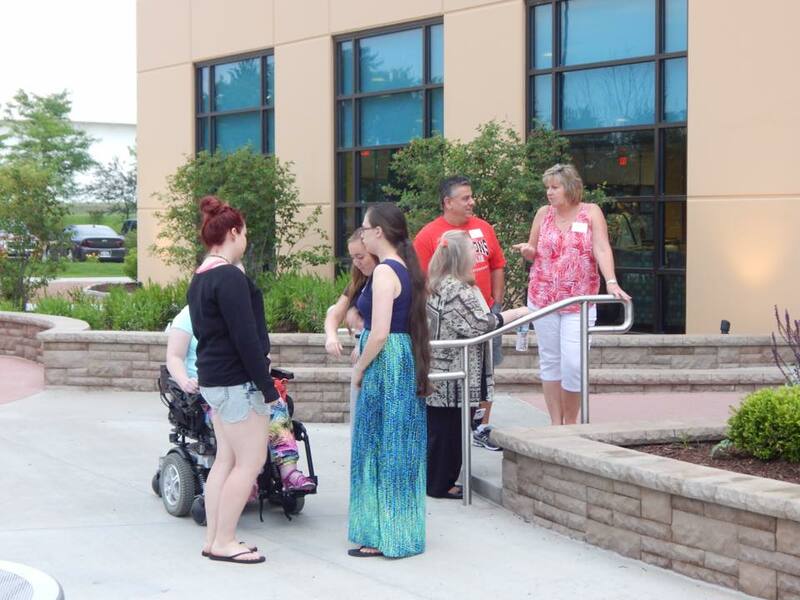 Each will continue to be your main contact for overseeing scheduling for nursery/garden or preschool/backyard/clubhouse. Please continue to be consistent and committed in your serving role. We need YOU! We will go back to 5 services AFTER Labor Day weekend. Starting Saturday, September 12th we will have a 3:45pm and 5:30pm service and Sundays will be 9:00am, 11:00am and 5:30pm. Please pray for our teams as we undergo a lot of change in a short amount of time. 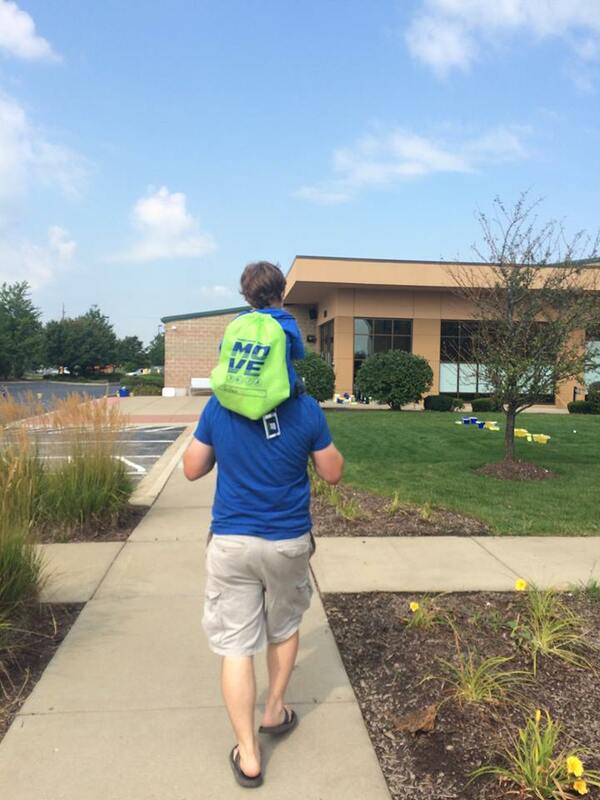 We GREATLY appreciate YOU and all that you do for God’s little ones and our Parkview families. 30 of our goal of 100 backpacks has been achieved! 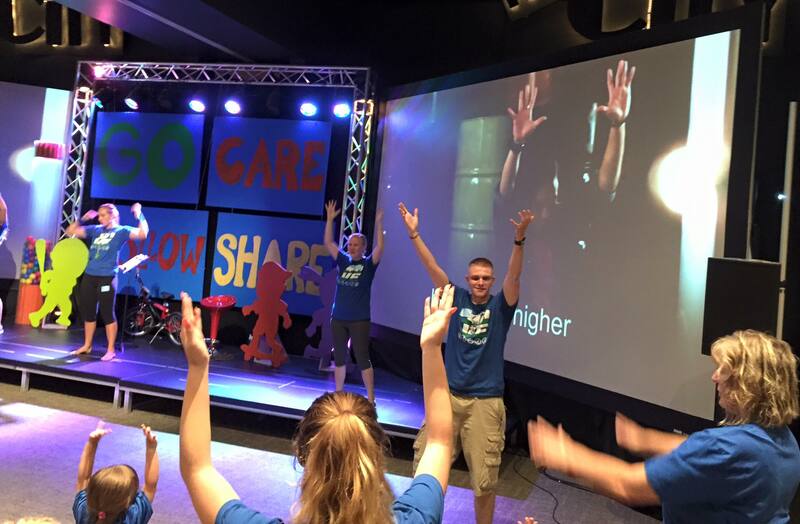 360 Parkview Kids Volunteers made last weekend happen! 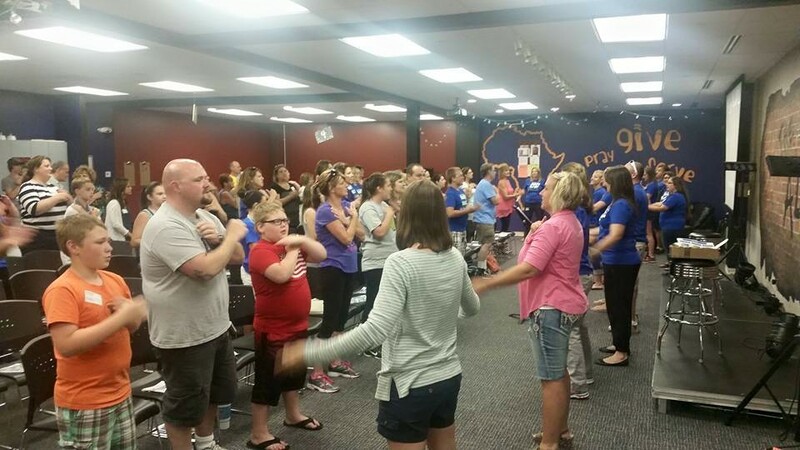 97 NEW VBS volunteers jumped in to help as well! Stay in the loop! Join our online community by searching “Parkview EC Team” in the facebook search box and request to join. We’d love to connect with you outside of the weekend. THANK YOU for being a part of what God is doing at Parkview! Our mission this year is to make 100 Journey Bags for kids in foster care. In our first weekend the children donated…drum roll please….$1,255.86! BRAVO, BRAVO! This brings us to 12 out of 100 Journey Bags goal. We have three more weekends to go! 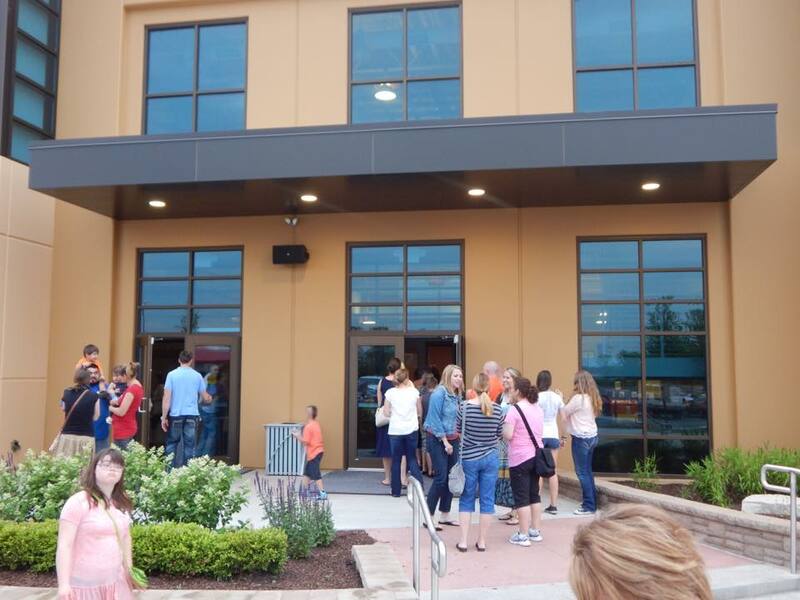 959 kids came through our doors last weekend… WOWSER! 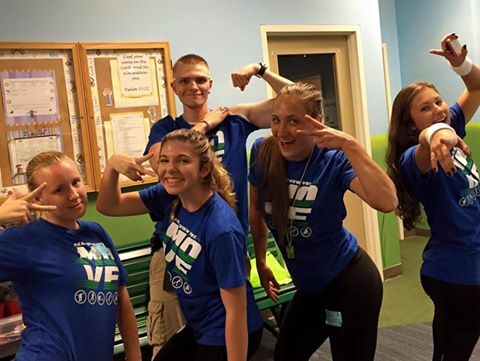 303 gifted and dedicated volunteers to make last weekend a BLAST for ALL! 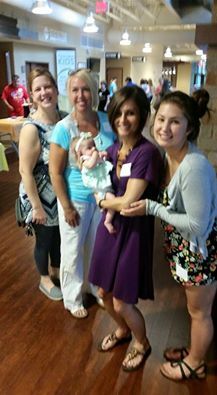 One of many positive parent testimonies: “My daughter had so much fun she wanted to go to church ALL three services on Sunday! !” Lindsey V.
Let’s continue to reach out to our community about Parkview’s VBS, invite your friends, family, neighbors, coworkers etc. Save the date! 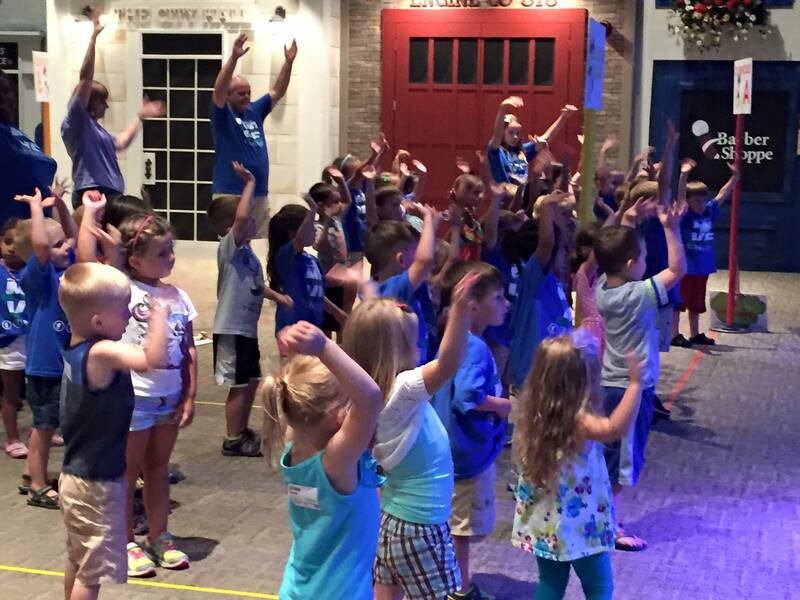 Our VBS Closing Program & Family Night is Friday, August 28 from 6:30-8:30pm. We will worship together and recap all of the things we’ve learned. Afterwards we will head outside for a free hot dog dinner, inflatables, balloon artists, photo booth and SO MUCH MORE! We will also have a special family project where families will pack and fill the journey bags and pray over each bag! Dessert will be available for purchase from a variety of food trucks. Mark your calendar and get ready for TONS of fun! Enjoy pictures from August 1/2 below. THANK YOU for being a part of what God is doing at Parkview. We can’t do this without YOU! Let’s Celebrate! 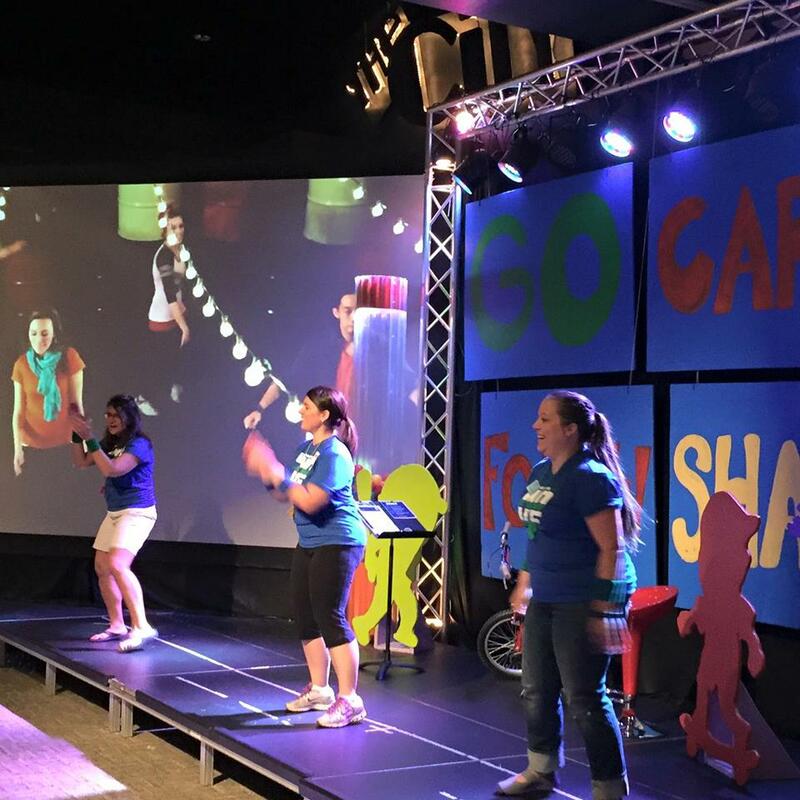 Our VBS-MOVE kicks off THIS WEEKEND! 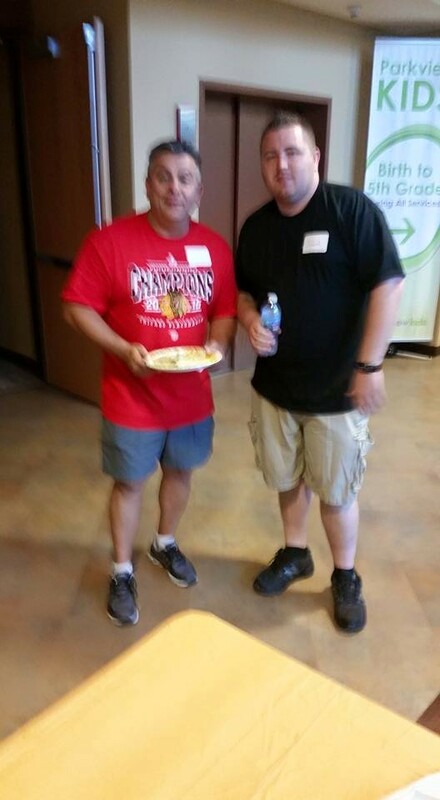 We will put our Volunteer of the Week on hold during the month of August so we can focus on VBS. 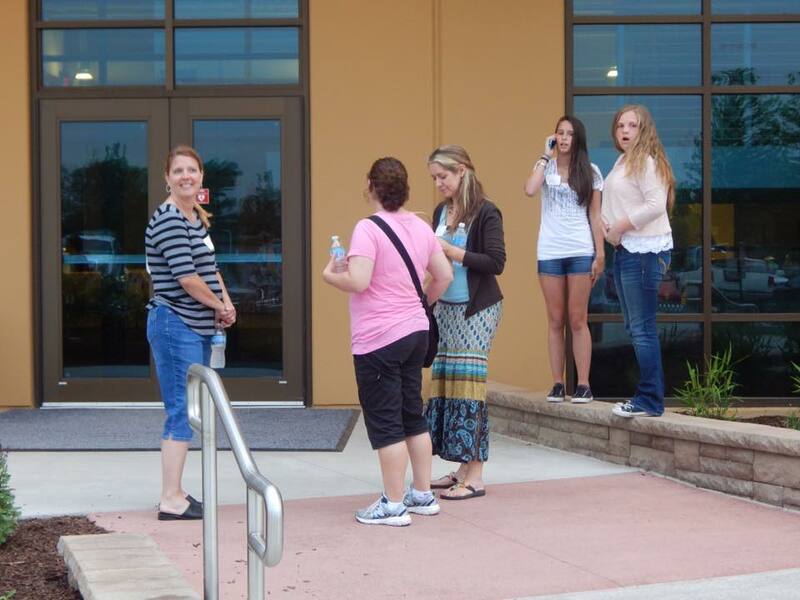 We are expecting lots of new VBS volunteers and families coming through our ministry in August so let’s get ready to give them all a warm welcome! PLEASE be sure to arrive at least 30 minutes before the start of service for your team’s huddle. Be equipped and empowered! 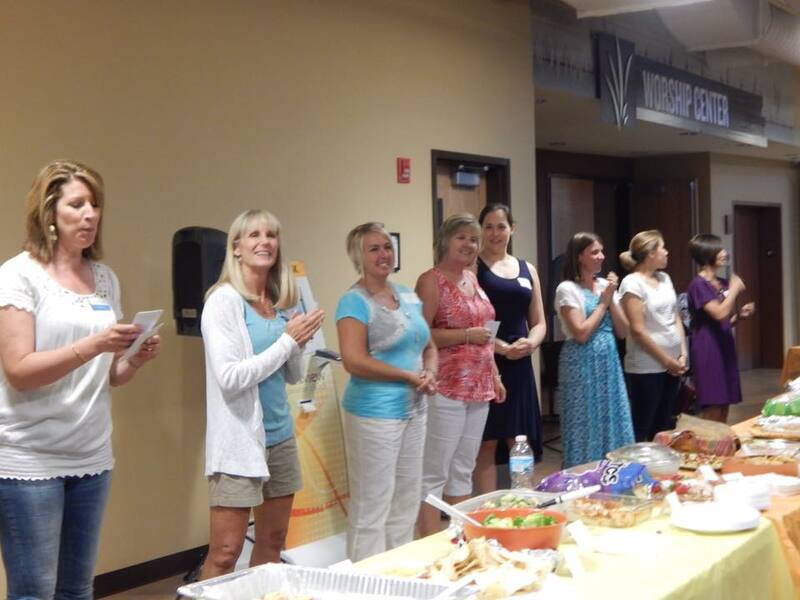 THANK YOU for your dedication to our Early Childhood Ministry! Let’s Celebrate! 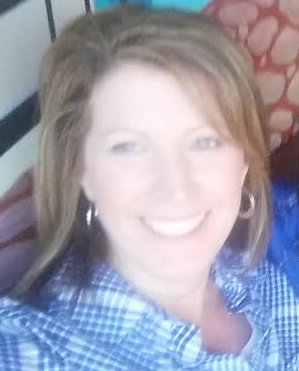 Meet our Volunteer of the Week, Melinda Dooley! 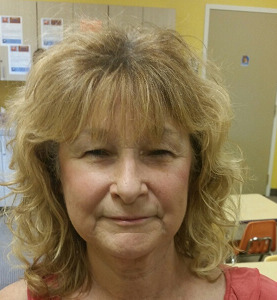 Melinda is a Team Leader in Ones B every Sunday at 9:00am since May 2014! Melinda brings a calming energy to the Nursery, even when things are hectic she keeps a clear head and makes the situation positive. She connects well with her team and all the children in the Ones B room! Melinda goes above and beyond each weekend and effortlessly leads her team. She is a great example of a dedicated leader. Thank you Melinda, the best is yet to come! Please help us spread the word about Parkview’s VBS MOVE. Walk in registrations are welcome. 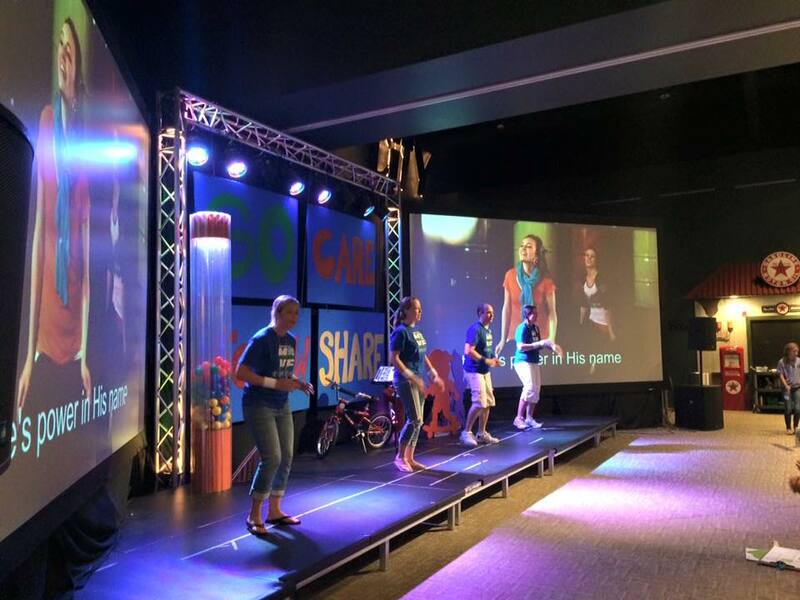 VBS will be the first four weekends in August. THANK YOU nursery team for childcare last night, we can’t do this without you. It takes a TEAM!!! Marissa Martino, Save the dates, Did you RSVP? 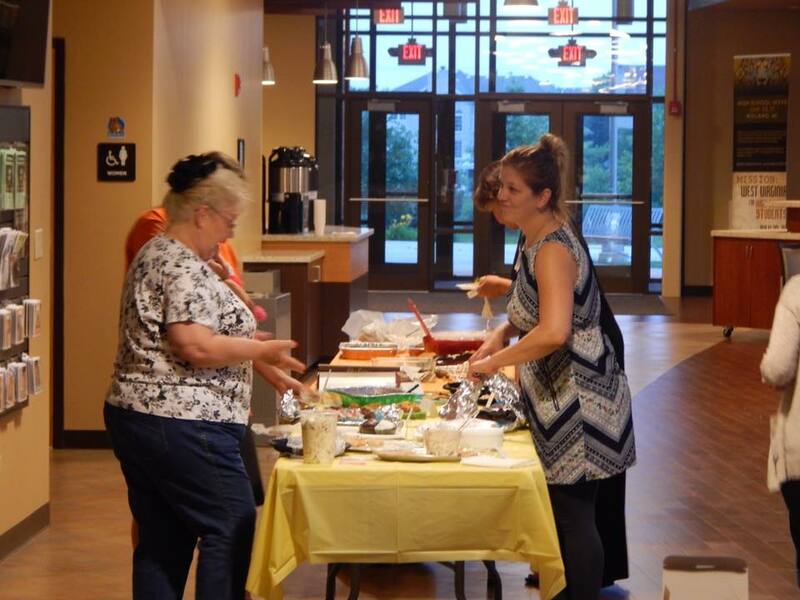 Let’s Celebrate, meet volunteer of the week…Marissa Martino! Ma rissa has been serving in the Backyard with our four-year-olds for almost two years. She faithfully serves every Sunday at 11am in the green room. 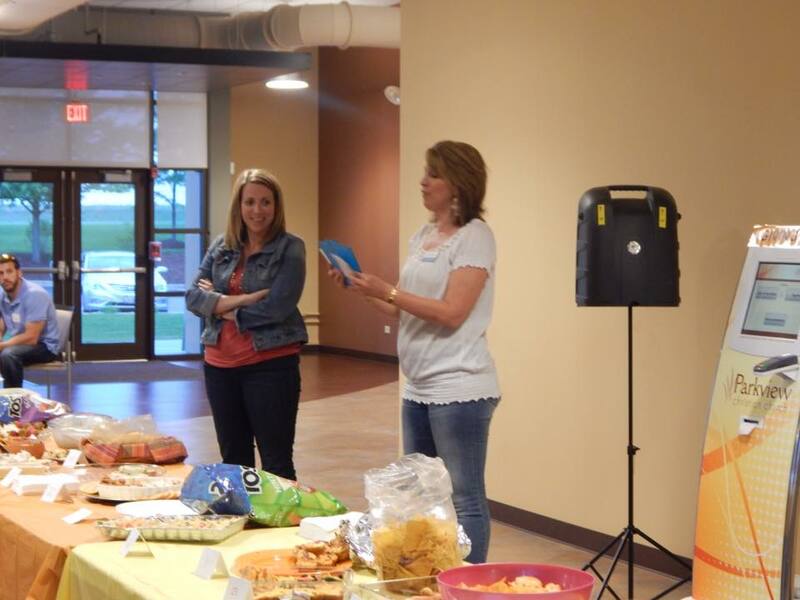 Marissa continually goes the extra mile to welcome, engage and serve God’s little ones and team members. She has a huge heart and is a great leader! We are grateful to have her on our team. Thank you, Marissa, the best is yet to come! 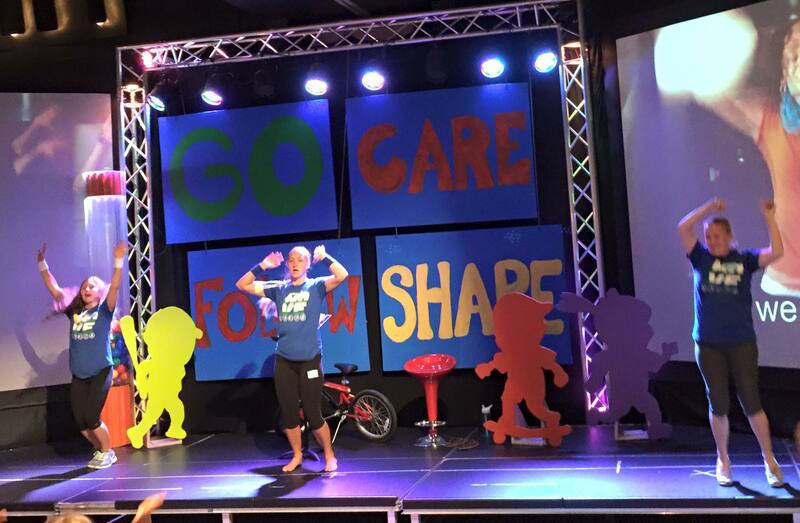 You’re invited to help decorate for VBS MOVE! We have a few openings left on our VBS decorating team. We would need you to come in to help decorate Monday, July 27th and/or Tuesday, July 28th 10am-2pm. Lunch will be provided. Please let me know if you are interested. We need a bunch of empty plastic water bottles for VBS week one. If you could collect them at home and then drop off at the office during the week or bring in on the weekend it would be greatly appreciated. We only have 77 right now and need 210 before Aug 1st. Thank you! 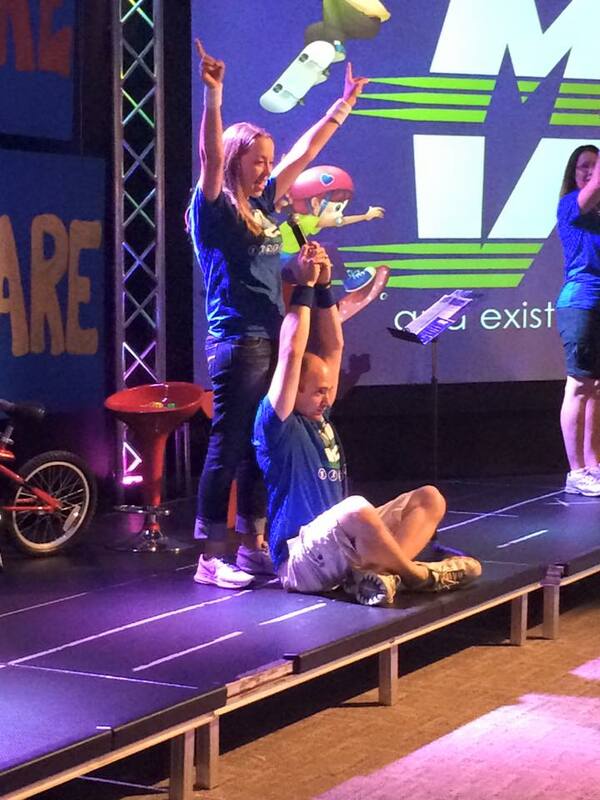 If you are a Backyard Team Member did you RSVP for the VBS meeting next week? Click here. 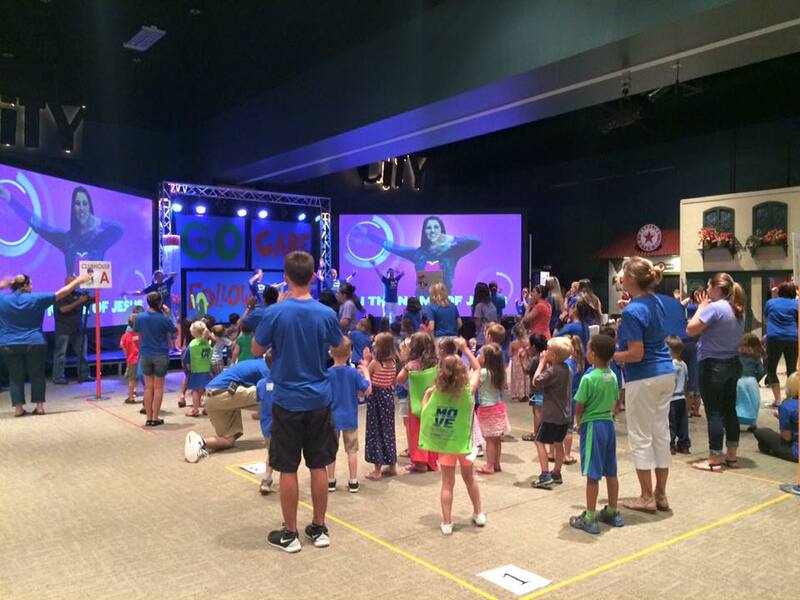 This is where you will get the information you need for serving with the preschoolers during VBS. The Backyard schedule and activities will look very different in August. A light dinner will be served from 530-630pm with the opening program starting at 630pm. Thanks! If you are a current nursery/garden volunteer, birth – 2 years of age, you do not need to attend the July 22nd meeting. However, WE NEED YOU to help with childcare during the meeting. If you are available Wednesday, July 22nd, from 6:30pm-8:30pm to help with childcare please contact your coordinator, Amelia, directly. THANK YOU! THANK YOU for your dedication to God’s little ones and our team. We appreciate each and every one of you! Let’s Celebrate! 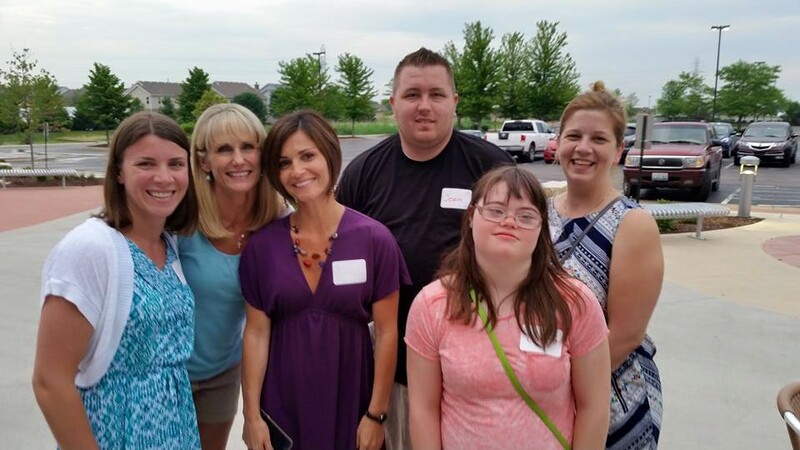 Meet Volunteer of the Week…Brittany Dorsey! 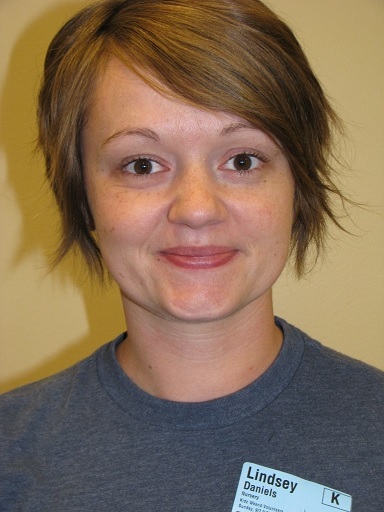 Brittany is a team member, serving up to three times every week since June of 2011! Brittany usually serves in Babies, but is always open to fill in wherever we may need her! Brittany is a true team player and she works to ensure everyone on her team feels welcome and comfortable. She is a huge help in all of the rooms and is always willing to go above and beyond for the team, the children and families. She is a great example of a dedicated volunteer. Thank you Brittany, the best is yet to come! 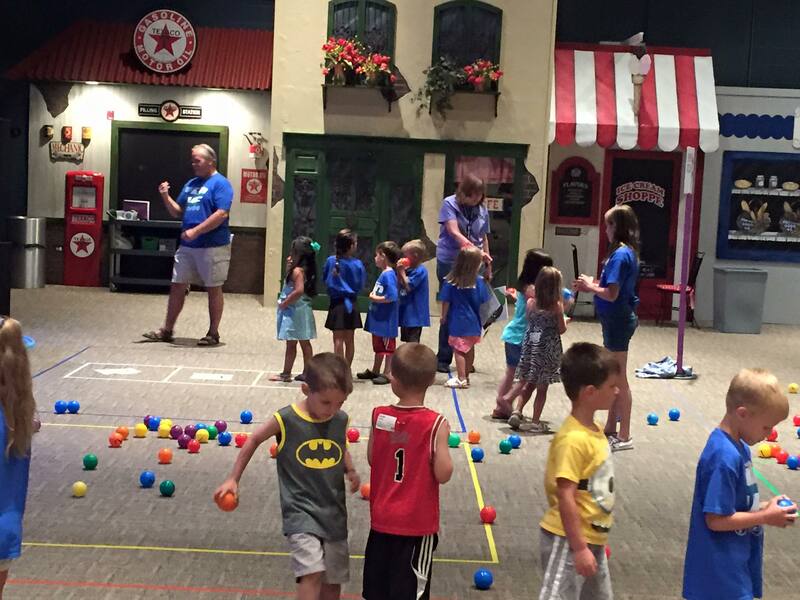 Friendly reminder, VBS Central is NOW OPEN in our Grand Foyer. You can purchase our cool NEW blue t-shirts for $5.00. This is optional. 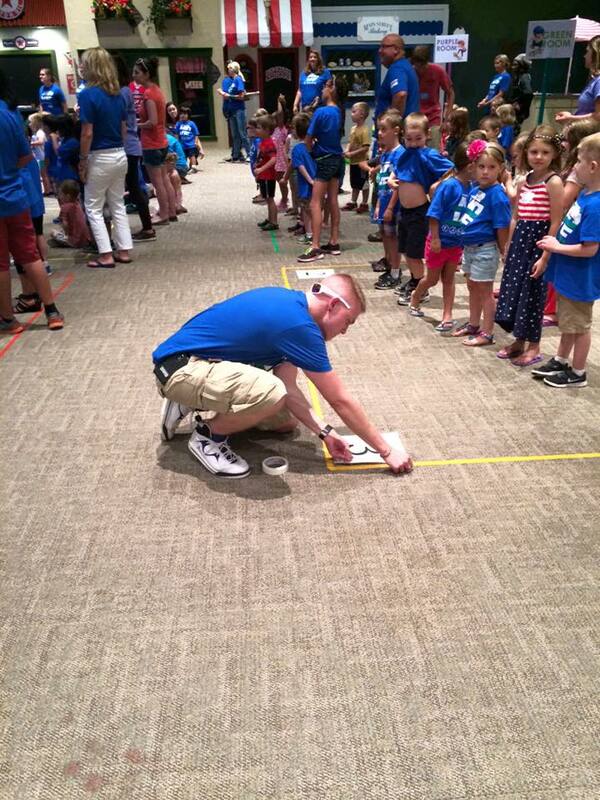 Since you are already an active Early Childhood Team Member, please DO NOT sign up to volunteer at the VBS booth. You can contact your coordinator directly to discuss increasing your serving schedule during VBS or how you want to get more involved. We need YOU! 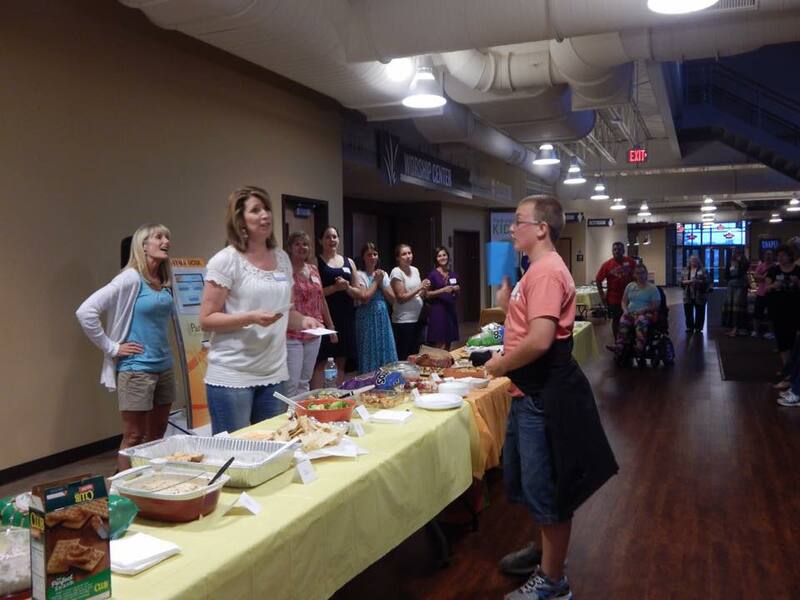 VBS is one of our biggest times to reach out to our community. God designed His church as a people who get faith, inspiration, spiritual and emotional fuel from one another. 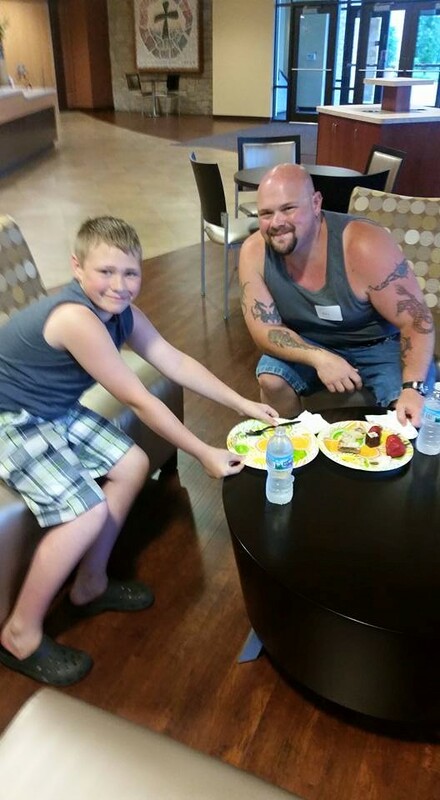 The weekend re-fuels our hearts, hope and our families. THANK YOU for your dedication to God’s little ones. YOU are more than you know. Georgia Szkolny, Super Meeting, Welcome July! Let’s Celebrate! Meet Volunteer of the Week…Georgia Szkolny! Georgia joined our Backyard team last summer and has been a huge blessing! She is caring, thoughtful and dependable. You will usually find her in the yellow room with our 4 year olds every other week at 11am. Georgia is passionate for the kids and our team and it shows as she serves with her whole heart. Thank you, Georgia, the best is yet to come! VBS Central is NOW OPEN in our Grand Foyer. You can purchase our cool NEW blue t-shirts for $5.00. This is optional. If you are a current nursery/garden volunteer, birth – 2 years of age, you do not need to attend the July 22nd meeting. However, WE NEED YOU to help with childcare during the meeting. If you are available Wednesday, July 22nd, from 6:30pm-8:30pm to help with childcare please contact your coordinator, Amelia, directly. THANK YOU!!! Wishing you and your families a SPECTACULAR 4th of July weekend. Thank you for making an eternal difference. 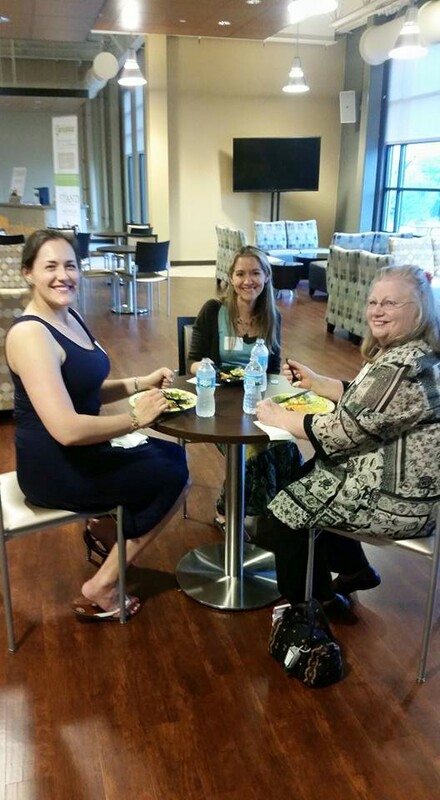 We LOVE having you on our team and greatly appreciate you sharing your time, talent and energy! 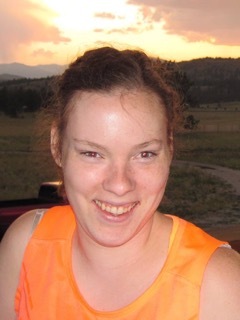 Meet our Volunteer of the Week, Lindsey Daniels! 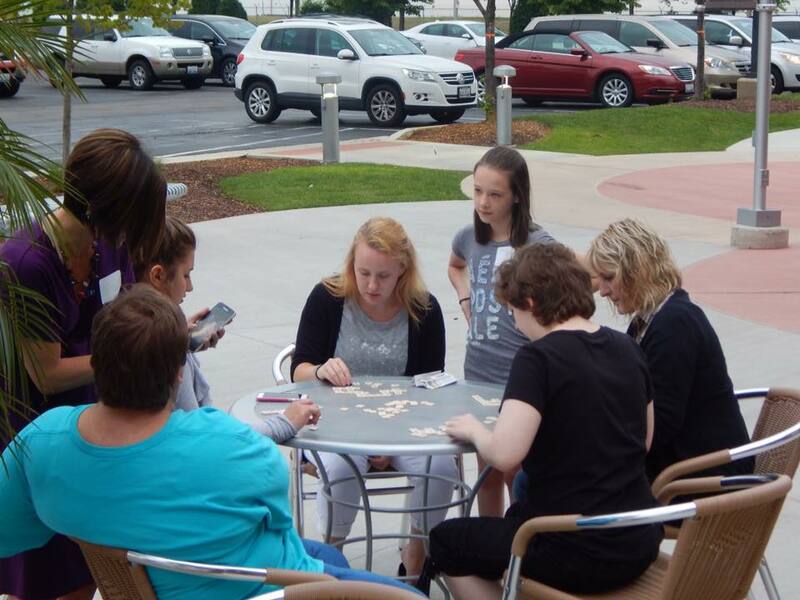 Lindsey is a Team Leader in Ones B every Sunday at 11:00am. She has been serving in the Nursery since August 2014 ! Lindsey has an AMAZING gift of connecting with volunteers and families! Every Sunday she sets a very positive,encouraging, and energetic tone in the room she leads. Her energy and heart for this ministry are contagious! 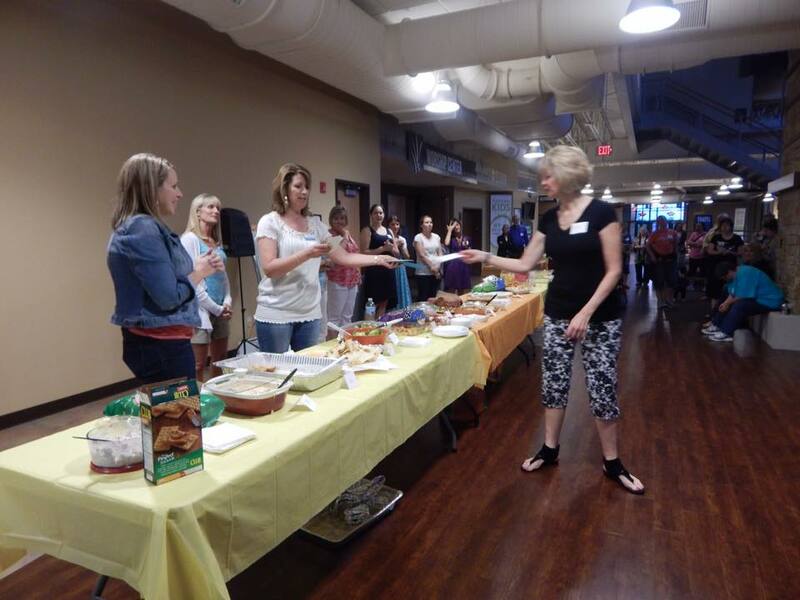 Each week she rallies her team and gets them excited to serve, as well as the children who are all overjoyed to see Lindsey greeting them at the door! She is a great example of a dedicated leader. Thank you Lindsey, the best is yet to come! Success is in the details. Devotion to details lets guests know they are worth the effort. Read more at the link below. On that note, PLEASE arrive at least 30 minutes before the start of service for our teams’ huddle. 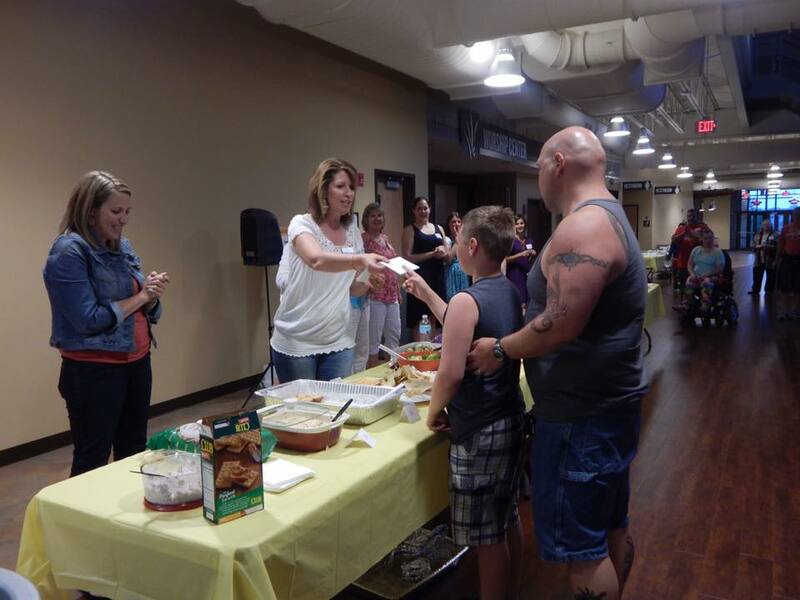 It is imperative each service team gathers together to touch base and get ready for families. This time is for YOU. If you are not certain where to go, have an emergency or are running late please call or text your Coordinator. THANK YOU for your dedication and commitment to excellence! YOU are making a HUGE impact to so many people. 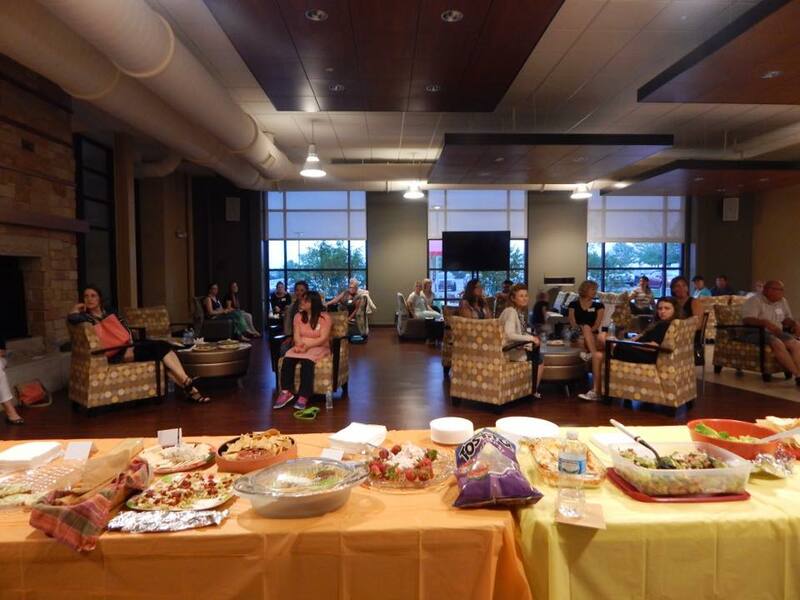 We had TONS of FUN and LOADS of delightful homemade appetizers and desserts at our summer party last Thursday. 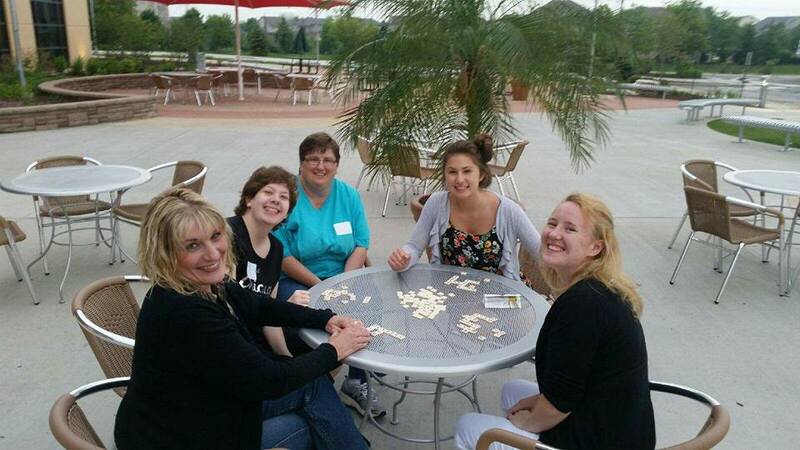 Five team members received prizes for their delicious dishes and we had the opportunity to relax and have fun together. THANK YOU! We are so grateful for everyone helping make this our BEST EVENT EVER! 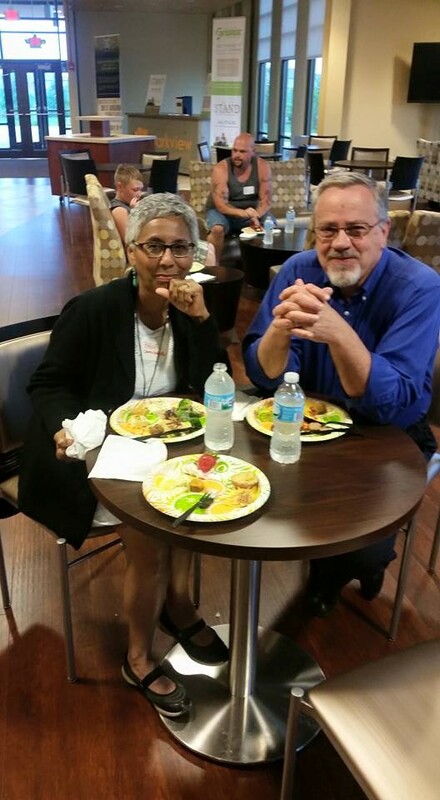 See more pictures from last Thursday’s party at the end of this post. PLEASE remember we need you to arrive at least 30 minutes before the start of service for our team huddles AND so we are equipped to accept other volunteers’ children extra early so they can get to their team huddle. Let’s Celebrate! 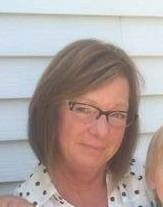 Meet Volunteer of the Week…Tina Reay! Tina is a Team Leader in the backyard. She has been subbing in on Sunday mornings at the 9am or 11am service for the past three years! She is always willing to help whenever needed. 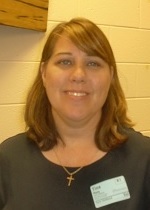 Tina has a keen eye and ensures the little ones are always in a safe and fun environment. Tina is dedicated, patient, joyful and leads by example. She is a great leader! Thank you, Tina, the best is yet to come. Below you’ll find more pictures from our party last Thursday. Thanks EVERYONE for being the best team ever. YOU are loved!